by Victor Manganaro | Mar 30, 2017 | Uncategorized | no comments. Why should you automate your procurement? 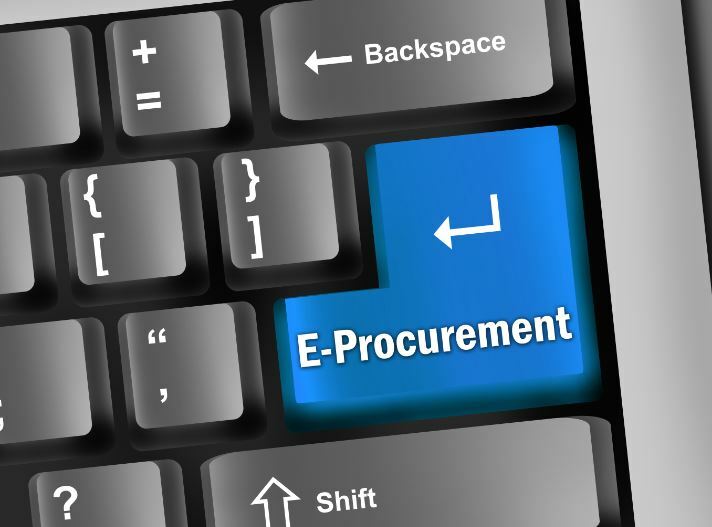 5 benefits of e-Procurement that will transform the way you do business! Experts are calling the current trend in automation, the fourth Industrial Revolution. In manufacturing, robotics are changing the way goods are produced. Service-related industries or organizations are undergoing transformation to increase efficiency and productivity as well. Procurement is the business of processing the purchase of goods and services. It contains many redundant processes and operations as well as manual bottlenecks that are ripe to be automated. In order to be competitive in their respective industries, companies are placing more emphasis on the strategic value of their procurement organizations (80% of Procurement Executives affirmed this in a recent survey). Innovation through automation is essential to increasing its value and its strategic importance. Your ERP system typically handles purchase orders, invoices, processed orders and payments — all part of the Procure-to-Pay (P2P) cycle. It uses SAP or at some point will probably interface with SAP. According to SAP, 75% of all global transactions touch SAP in some way. Most of the order-purchase information should be available especially as part of a tracking or confirmation effort. Of course there may be situations where systems don’t easily talk to each other and data access becomes cumbersome. What happens when all the order-purchase-payment data must be accessed, collected and organized to create a report for providing quarterly statuses, annual reports or future forecasting? What is your ability to easily manipulate this data and generate a report by any type of criteria? Visibility and access to your data is critical. Without automation, what is the extent of the manpower required to generate regular reports? Report generation of any kind should be on-demand and not caught up in spreadsheet-data manipulation. An optimal e-Procurement system would allow report generation configured by an easy-to-use dashboard. One of the biggest bottlenecks in procurement operations is the purchase order approval process. In a worst case scenario, getting approval for say, a series of equipment purchases, requires a document package to be uploaded, attached, emailed, downloaded, printed, signed, scanned, attached and emailed back. Even if your organization has been able to remove some of these cumbersome steps, such as adding an e-signing application, chances are there are still some areas of the process that could be streamlined and automated. Automation can provide proactive alerts to inform key players of pending actions, significantly reducing or eliminating bottlenecks. Having too many suppliers puts your company at greater risk. The more vendors, the more contracts. It drains resources in trying to keep track of them. And the problem only gets worse left to be addressed at a later time. A Supplier Management Solution via automation would identify the spend associated with non-preferred vendors and move it into the managed spendcategory with preferred suppliers. The preferred suppliers are part of procurement’s strategic sourcing feedback channel which includes alignment with all corporate compliance guidelines. Additionally, they are leveraged through the full corporate buying-power such as volume based price breaks and other related purchase discount structures. Automation can also integrate a score-carding system in order to provide real-time supplier performance reducing the likelihood of retaining non-preferred suppliers. Reducing the number of suppliers will reduce risk, take more advantage of large volume corporate discounts, and save resources by allowing Procurement to focus on higher-value functions rather than managing so many vendors. Having contracts spread out across the company in the hands of different divisions or subsidiaries is a compliance nightmare waiting to happen. If a merger or acquisition has taken place, then there most certainly are duplicate contracts, especially as it relates to PCs and software. Creating a Central Repository for all company-wide contracts is one important key to staying compliant. Centralizing and consolidating will allow you to get control of duplicate or overlapping contracts to avoid trouble. Automating how you handle all your contracts will provide full visibility into your contracts. Also, potential compliance issues can be flagged; alerts can be set up prior to contracts expiring to allow for planning in negotiating new contracts with more favorable terms. Procurement professionals are trained in getting the most out of purchases as it relates to corporate policies, compliance and pricing guidelines. But when they are too involved with low-value purchases, it is taking them away from more important tasks. At the same time, giving non-procurement employees free-reign in making these types of purchases can add up to significant waste especially when spread across the divisions of a corporation over time. By setting up an e-catalog system, company employees would have the ability to make their own purchases on low-value items.The system would incorporate best practices and preferred vendors. In essence, employees would operate as an extension of the procurement arm under the appropriate guidelines, freeing up procurement professionals to perform more critical higher-value functions. Automating your procurement functions is not merely a nice option, it has become a necessity. If you want your company to be competitive in its industry, the procurement organization must not be merely transactional but strategic. Automation via e-Procurement is the answer in transforming the way you do business! The over-riding benefit is freeing procurement professionals from low-value tasks so that they can focus on more strategic corporate vision activities. Taking some key first steps to automate your procurement functions will put you on the road to reaping the benefits listed here and more — in line with the primary objectives of reducing risk, saving money and eliminating waste. If you would like to learn more about eProcurement and automating your procurement functions, please click here. Stay tuned for a more comprehensive review of automation in procurement in the weeks ahead.